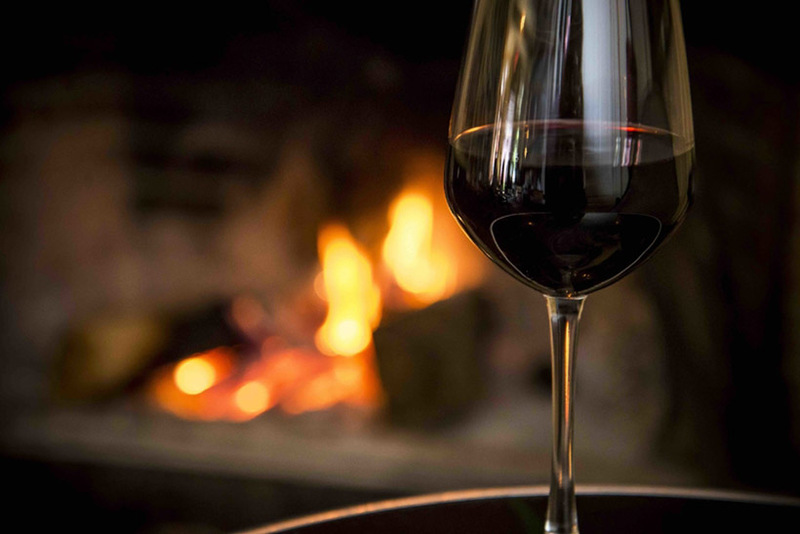 Fire, wine and friends are the quintessential ingredients for a perfect winter’s evening. The mesmerising quality of flames have the ability to slow us down and the company of good friends warms the heart – an experience that can be greatly enhanced by the right wine. To ensure we get the most out of our wine it’s essential we store, serve and drink it at the right temperature – but what is ‘the right’ temperature? Many factors determine what the optimal wine temperature should be including the presence of tannins, the structure of wine, its age and style. If you serve wine too cold the flavours will be disguised. Too warm and the taste of alcohol will dominate. Why: Keeps the bubbles alive and will preserve the fresh and fruity elements of the drink. If a sparkling is too warm, the CO2 gets released when the bottle is opened and the wine will go flat quickly. Tip: To help deliver the ideal drinking temperature, once opened keep the bottle chilled in an ice bucket to prolong the fresh factor! Why: Fridge-cold temperature will enhance the zesty, crisp attributes of a white wine. Sauvignon Blanc, Riesling and Rose have a higher acidity so are best appreciated colder whereas the fuller bodies Pinot Gris and Chardonnay have less acidity so can be served slightly warmer than fridge temperature. Tip: Once opened, keep the bottle on the table to let it sweat – this will help the flavours and aromas develop even further. Why: The fruitier the wine, the warmer it can be. When a red is too cold, the tannins appear not as full whereas a warmer temperature will smooth out the tannins and enhance the fruitiness of the flavour. Tip: Store your red out of the fridge but pop it in just 15 minutes before serving – this will give the wine a mild coolness that allows fruit to be brought to the surface. If a wine is too cold, warm the glass in your hands first – remember it’s always easier to warm wine up than cool it down! The worst place you could store wine is in the kitchen. Due to the rapid changes in room temperature and moisture from cooking, wine is best stored somewhere quiet, dark and reasonable cool (a natural underground cellar at 12-14° is ideal). Vibrations from noise and the sun’s UV rays can degrade and prematurely age the wine. Lastly and most importantly, wine is a subjective experience best enjoyed exactly how you like it!